Match numerical characters with number words and dots. 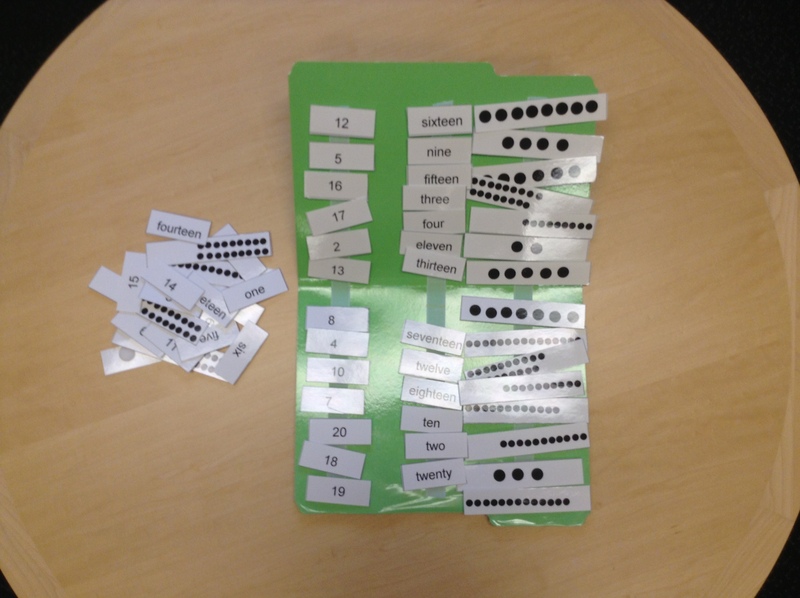 Activity includes: Velcro board, dots, numbers, and words 1 – 20. This entry was posted in Learning Aids, Our Library and tagged Autism Spectrum Disorder, Learning Aids, number matching, numbers. Bookmark the permalink.